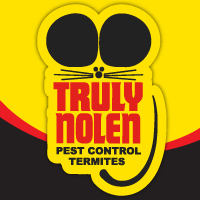 Truly Nolen is a family owned pest, termite, rodent and insulation company servicing businesses and homes coast to coast since 1938. Pest issues are not always a single home issue but more often than not, a neighborhood issue. We work hard in neighborhoods and communities to keep pest pressures down and you and your environment safe and free of pests. Our understanding of pests and their lifecycles allows us to service you in an environmentally responsible way made affordable by serving you and your neighbors. Truly Nolen is proud of what we do as a company and see pest control as a sign of good housekeeping. We are dedicated to making sure your family and home are proactively protected from pests staying ahead of pest life cycles, stopping them before they multiply. Truly Nolen's services are backed by a satisfaction guarantee and a 1 Million-Dollar Total Termite Protection Repair Guarantee. Carlos is doing a terrific job.. very thorough and very friendly and knowledgable.